Back in 2009 when Sheldon and I were prepping for the Transrockies, one of the things we were busy doing was organizing the Bikeridr kit… And what kit is complete without matching lids?! We hunted high and low and our top contenders at the time were from Giro and Specialized. Around the time we were narrowing our selections the Cervélo Test Team was making their debut at the 2009 Tour de France, sporting some distinctly euro lids that caught our eye… The rest as they say, was history. This is effectively the Catlike Whisper Plus signature – The frontal air intakes are connected to large exit vents located in the rear making air constantly flow inside the helmet to avoid over heating. The Multi Positioning System (MPS) is what facilitates the adjustment of the rear parts of the helmet. Crash Energy Splitter (CES) is a design-led crash absorption system that essentially splits the energy of a crash to multiple points, helping to effectively absorb impact. The process of moulding the outer and inner polystyrene shells to become a single unit – increasing both impact resistance and energy diffusion. Low Nape Protection (LNP) is just that. LNP simply highlights that the construction/design of the helmet delivers extra protection to the back side of the head. Now, marketing mumbo jumbo aside, how does this helmet fair in the field? Well, here’s how it all shook out. EuroPro Look – As if that’s not going to be the first thing I mention! This helmet has a very distinct design, and regardless of whether you like it or not, you can’t argue that they’re eye-catching. Featherweight – Spec’d between 240-270g I can tell you that once you’ve got this Spanish hard hat on your melon you’re likely to forget it’s there. Windtunnel – All those vents up there aren’t just good at catching bees, the do a great job at pulling the air through the helmet and across your head. I don’t ride with a bandana or cycling cap, so I appreciate the airflow that this helmet gives me. Finicky Fit – When I first got this helmet it took me a good while to get it fitting correctly. When compared to the Specialized Pro-Fit or the Giro Roc Loc the MPS borders on downright archaic. With that said however, after I got it fitting correctly (2 years ago) I have yet to adjust it. Not Cheap – Averaging around the $300 CAD this is definitely not a lid for the bargain shopper. But compared to other pro-level North American helmets, it’s not stratospherically off, considering it’s an import. Weighed Down – I’ve found that when burdened with a lighting system, or camera, the helmet becomes a fair bit less comfortable. Not “uncomfortable” per-se, but if you always ride with a helmet mounted light, or are always sporting your GoPro camera, you may want to look elsewhere. 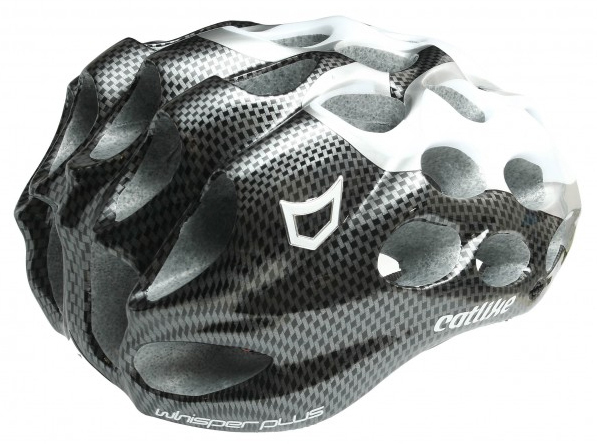 I guess I’ll put it this way… I’m probably going to be buying a new helmet next year, and there’s a very high likelihood it’s going to be another Catlike Whisper Plus. I like the looks. I’ll have to give it a fitting. I perspire on the top of my head like mad so the airflow is crucial. 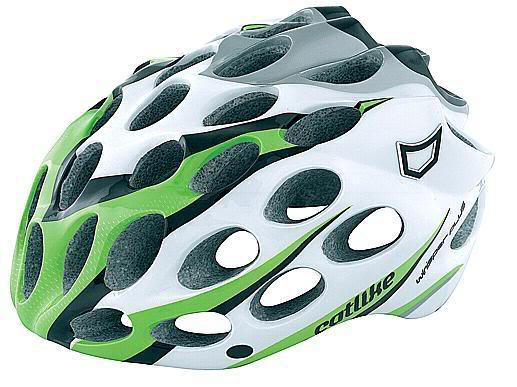 Yeah, I liked this helmet a lot, before it got stolen… It was super light, vented really well, and looked cool. Something I didn’t like was the ‘slider’ tension adjuster system at the back. No that there was anything wrong with it, but it takes two hands to adjust it, so it’s tuff to do it on the trail. I prefer the tension wheel. I can reach back with one hand to loosen or tighten it as I like. I recently bought a Bell Volt, and I have to say that I’m a huge fan. It doesn’t look as cool, and it’s ~40 grams heavier. But at about 1/2 the price, it’s still an amazing helmet and looks pretty cool.